Banteay Samré is a temple located in the Angkor temple complex east of the East Baray. Built under Suryavarman II and Yasovarman II in the early 12th century shortly after the construction of Angkor Wat, it is a Hindu temple devoted to the god Vishnu in the Angkor Wat style. Named after the Samré, an ethnic group of mountain people, who inhabited the regions at the base of Phnom Kulen and were probably related to the Khmers, the temple uses the same materials as the Banteay Srei. The temple's compact, well-balanced proportions echo other monuments of the period such as Beng Mealea and Chau Say Tevoda. 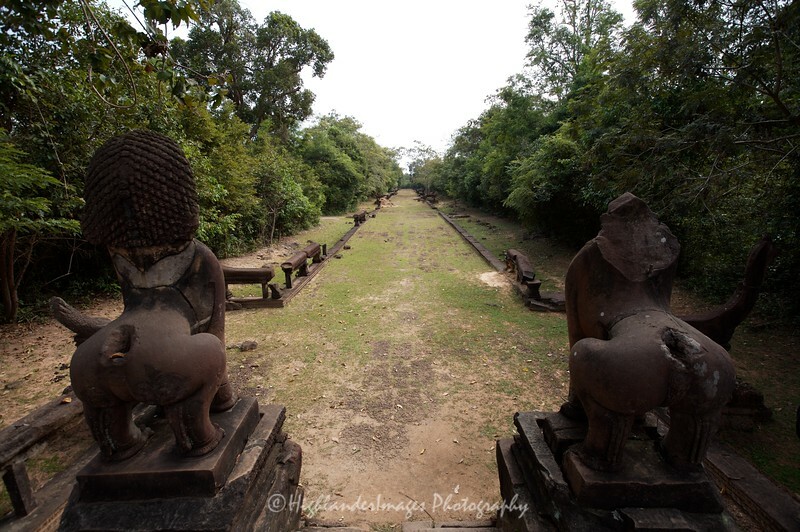 Viewed from the east, the approach is by a 200 metre causeway paved in laterite and bordered by a naga balustrade in the style of Angkor Wat. The presence of Buddhist scenes in a Hindu temple and the fact that in some places certain sculpted motifs, probably also Buddhist, have been mutilated makes a statement about the religious tolerance of the monument's patron.